Here's another reason to be excited for the upcoming season 5 premiere of Madam Secretary at the Sony Channel on Monday, October 8 at 9PM! 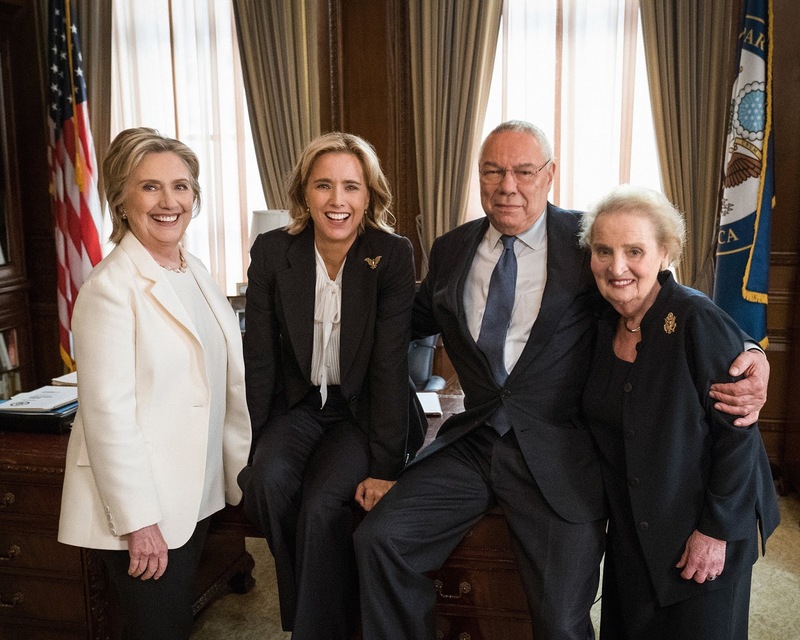 The political series will open their latest season with the guest appearances of former secretaries of state Hillary Clinton, Madeleine Albright and General Colin Powell. In this unprecedented episode, Secretary of State Elizabeth McCord, played by award-winning actress Téa Leoni, turns to the former real-life secretaries of state to ask their advice on how best to respond to a delicate situation. Madeleine Albright, the first woman to become Secretary of State, held the position from 1997 to 2001 under President Bill Clinton. General Colin Powell served as Secretary of State from 2001 until 2005 under President George Bush. Hillary Clinton served as Secretary of State from 2009 until 2013 under President Barack Obama. Executive produced by Academy Award winner Morgan Freeman, Madam Secretary stars Téa Leoni, Tim Daly, Sara Ramirez, Željko Ivanek, Keith Carradine, Sebastian Arcelus, Patina Miller, Geoffrey Arend, Erich Bergen, Kathrine Herzer, Wallis Currie-Wood and Evan Roe. Madam Secretary returns on Monday, October 8 at 8:55pm on Sony Channel. Sony Channel is available on Cablelink Channel 39, Cignal Channel 120, G Sat Channel 48, and SKYCable Channel 35.